Dr. Kathleen Buse is a business leader, award-winning researcher, and top-rated educator. As Director of Research at ERC, she guides our efforts to advance workplace best practices through employee engagement strategies and our NorthCoast 99 program. Additionally, she is leading the charge to expand the use of data analytics that support client HR and organizational initiatives. As Director of the ERC Women’s Leadership Institute, Kathleen helps employers recruit, retain, and advance women in the workplace through research-based solutions and development services. Kathleen’s experience includes 25 years in industry, where she began as an engineer and advanced to executive leadership. She spent ten years in academia immersed in research on the retention of top talent in the workplace, with a focus on women. Drawing from her own experiences, she has designed practical strategies and solutions to add and advance women in organizations. 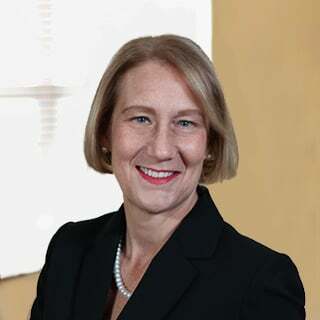 Prior to ERC, Kathleen was President of Advancing Women in the Workforce, and an Adjunct Professor and Faculty Director for the Leadership Lab at Case Western Reserve University. At Case, Kathleen taught research methods, including multivariate data analysis. Dr. Buse earned her Ph.D. in Management from Case Western Reserve University, an MS in Electrical Engineering from Rochester Institute of Technology, and a BS in Chemical Engineering/Engineering and Public Policy from Carnegie Mellon University. Kathleen’s industry experience includes Kodak, Lubrizol, Avery Dennison, and Sherwin-Williams. She is an active volunteer, currently serving as a board member at the Center for Arts-Inspired Learning and at Magnificat High School, where she chairs the Education Committee. Kathleen is also chair of the United Way of Lake County and a founding member of the Women’s Leadership Council. She and her husband have three children and live in Lake County, Ohio.